The University of Michigan’s hospitals and health centers are among the top 20 hospitals in the nation, according to the 2016–2017 U.S. News & World Report Best Hospitals rankings. The publication named U-M to the Honor Roll, ranking it No. 18 in the U.S. and first in Michigan. The Honor Roll includes 20 hospitals nationwide. This is the 24th consecutive year U-M has been nationally recognized for strong across-the-board performance. U-M is recognized in 15 of 16 adult specialty areas rated, and ranked in the top 50 nationwide in 12 areas. Only 3 percent, or 153 hospitals out of approximately 5,000, earned even one ranked spot. Nine specialty areas, including Cancer, Cardiology & Heart Surgery, and Neurology and Neurosurgery, improved in rank from last year. Ear, Nose and Throat placed highest at No. 8, with ophthalmology also earning a Top 10 honor at No. 9. The “Best Hospitals” adult specialty list follows the U-M C.S. Mott Children’s Hospital’s recent national rankings in the U.S. News & World Report list of “Best Children’s Hospitals.” C.S. Mott was ranked in more pediatric specialty areas than any other Michigan children’s hospital. 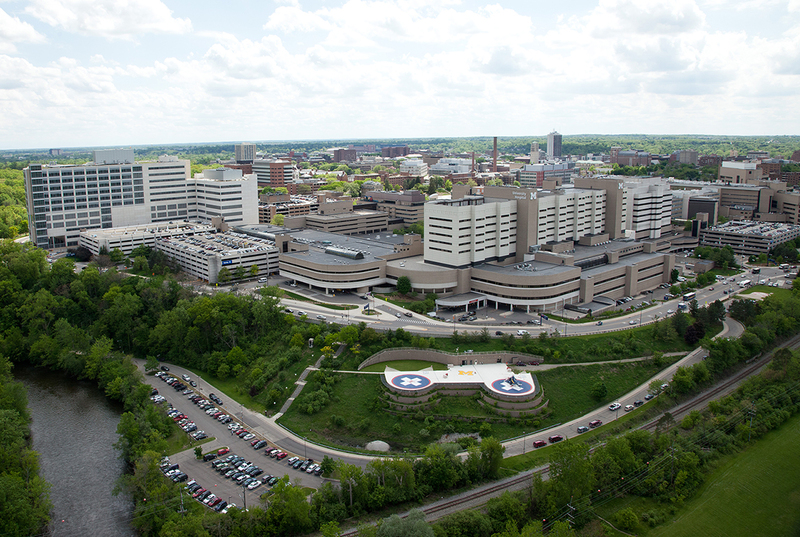 U-M was also one of only 63 hospitals to earn a "high performing" rating in all nine inpatient surgical procedures and chronic conditions, such as colon cancer surgery, lung cancer surgery and hip replacement. To learn more about other U-M health care recognitions, visit www.uofmhealth.org/about-umhs/honors-awards.